This entry was posted in Adventures in Collecting on October 9, 2014 by BeamishMuseum. Our scanning volunteer Stan’s selections for the blog this week show how diverse Beamish’s photographic collections are – from last week’s capture of German airmen during the Second World War, to this week’s theme which can only be described as ‘locomotives come to grief at Brandon Colliery’! Brandon Colliery was a couple of miles outside Durham and was worked between 1856 and 1968. At its peak of operation in 1921 the colliery employed 1,461 men. 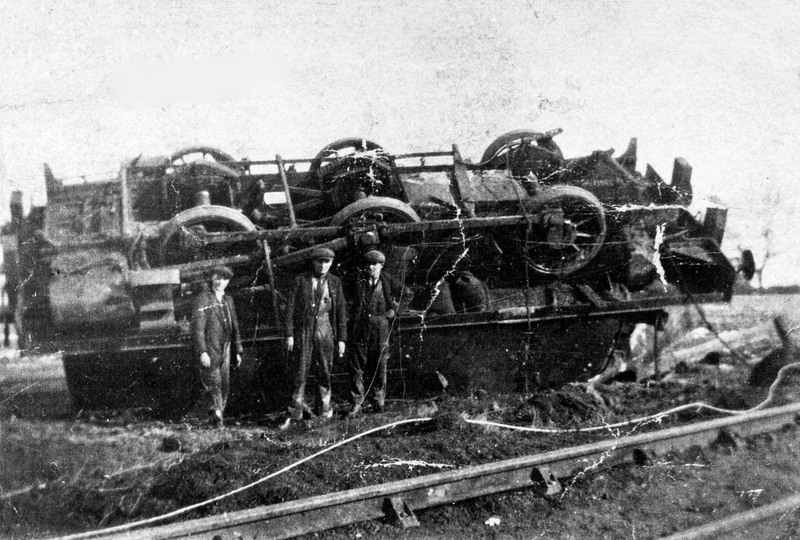 65660 – An un-identified 0-6-0 steam locomotive lies overturned after an accident on the line to Brandon Pit House in 1929. We don’t know much about this incident but sadly it seems that four men were killed. 65654 – This view is undated but It looks like loco’ no. 555 (of the North Eastern Railway class J26) has over-run buffer stops on the Boldon Colliery railway and slid down an embankment, barely missing a road. 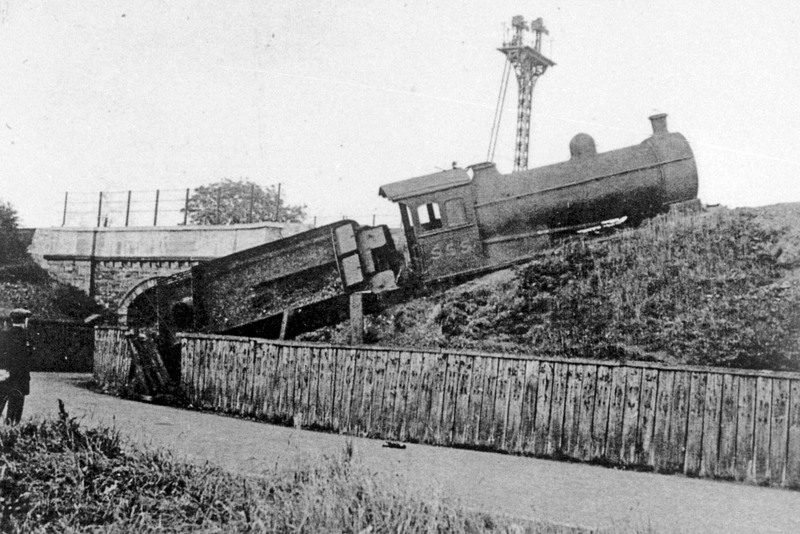 Despite appearances the engine was salvaged and ran until 1960, when it was scrapped at Darlington works. 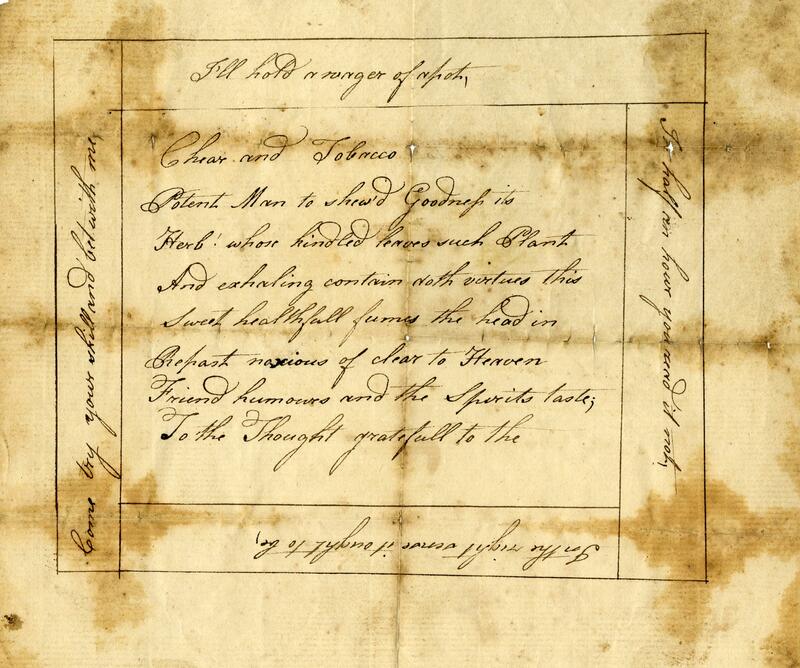 This entry was posted in Adventures in Collecting on October 3, 2014 by BeamishMuseum.